1. 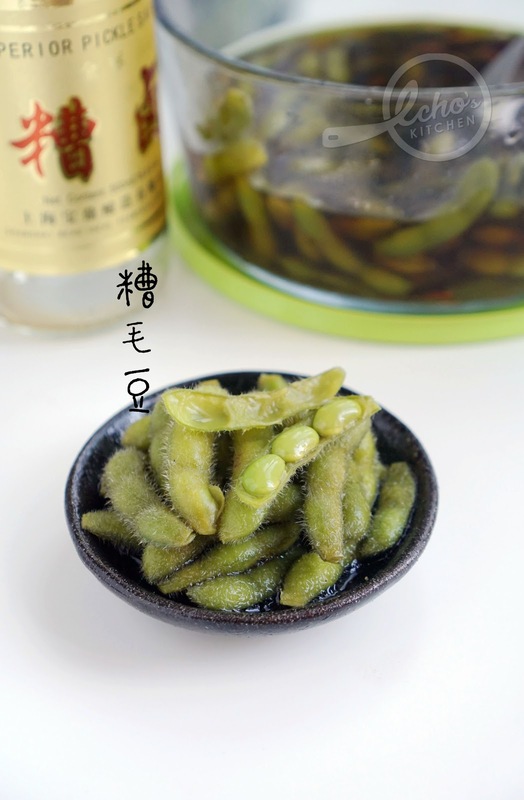 Clean and rinse the edamame, I will also cut the stems for better penetration of flavor of wine while marinating. 2. Boil the beans for 6 minutes in boiling water until cooked. Add 1-2 minutes if you like softer beans. 3. 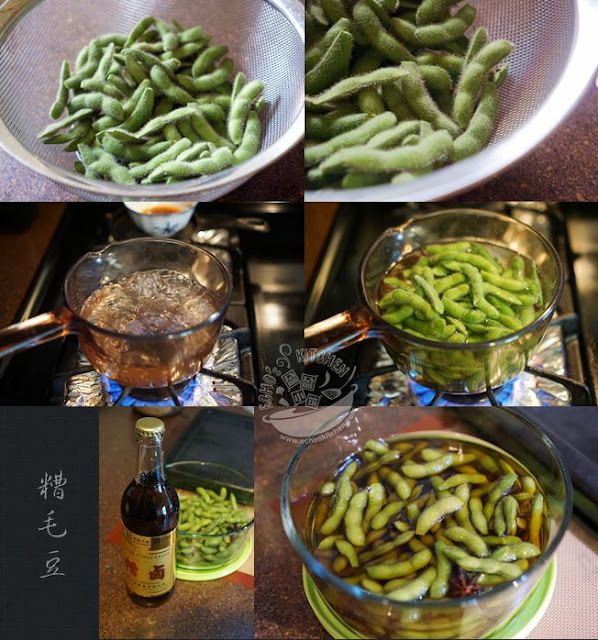 Drain and immerse the beans in Shanghainese wine brine, let the bean marinate for 3-4 hours and serve cold. I like my edamame less in sodium so I added 1/2 cup of water to the wine brine marinade.